The Michigan Breast Cancer Coalition in partnership with the Beaumont Breast Care Center held their first fundraiser and educational event at the Village Club in Bloomfield Hills. We used angel pillows as centerpieces and offered a separate table for attendees to write a personal note to a breast cancer survivor. We received several donations to Angel pillow and we were able to get out the word about The Angel Pillow project to the Birmingham/Bloomfield community. February issue of Downtown Birmingham/Bloomfield Newsmagazine. Sabrina Mayhew from the Angel Pillow Projects dances to Wagon Wheel by Darius Rucker at a fundraiser for the Pink Fund. This Year Sabrina Mayhew and the Angel Pillow Project teamed up with the Pink Fund for their annual Dancing with the Survivors event. The Pink Fund provides financial support to women in need who are going through breast cancer treatment. 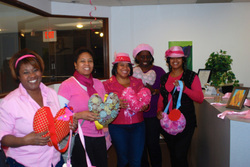 This fundraiser featured 6 breast cancer survivors and was held at Art Van in Novi. Steven Tulloch hosts an annual breast cancer event. 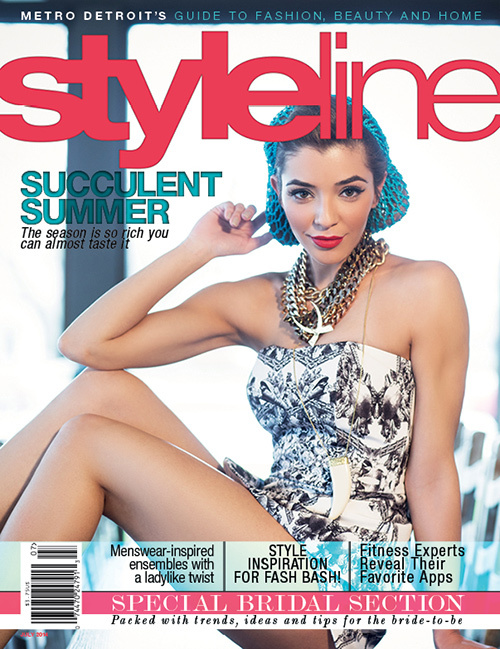 This year it was held at Emagine Theatre in Royal Oak and Sabrina Mayhew was the featured speaker at the event. (WXYZ) - October is breast cancer awareness month and this weekend 100 local survivors will be honored at a special event. 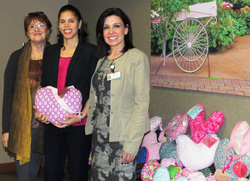 Sabrina and Maria Lyzen, RN, president of the Michigan Breast Cancer Coalition, visited Botsford Cancer Center, bringing 40 angel pillows. Each pillow includes a handwritten note of encouragement from a survivor. The pillows will be given to Botsford breast cancer patients to support their recovery. Gilda's Club Hosts Event to Create Comfort Pillows for Breast Cancer SurvivorsOne local designer’s pillow design will become the signature pillow for Metro Detroit survivors. Detroit Garment Group Guild(DG3) and Angel Pillow Project, along with volunteer designers and sewers, will come together to create a signature comfort pillow for breast cancer survivors on Feb. 3 from 2-4 p.m. at Gilda's Club, 3517 Rochester Rd. in Royal Oak. 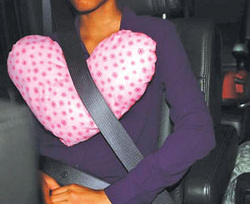 Mayhew began making pillows for others, and Angel Pillow Project’s mission quickly grew. Mayhew reached out to Karen Buscemi, founder of Detroit Garment Group Guild, to take the project to the next level. Buscemi, who is also the Editor of StyleLine magazine, suggested adding a twist of style into the pillows by involving the local fashion community. pillow for a woman who is recovering from breast cancer.